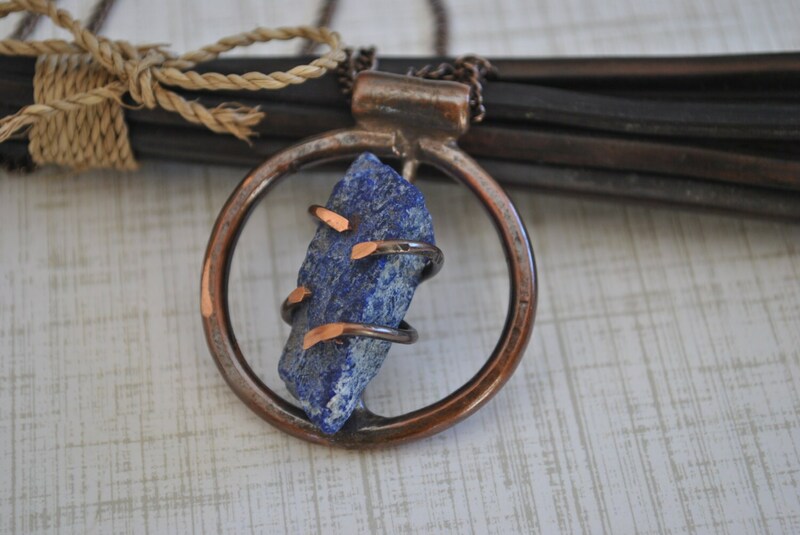 A genuine rough lapis lazuli stone has been mounted with prongs on a handcrafted copper pendant. 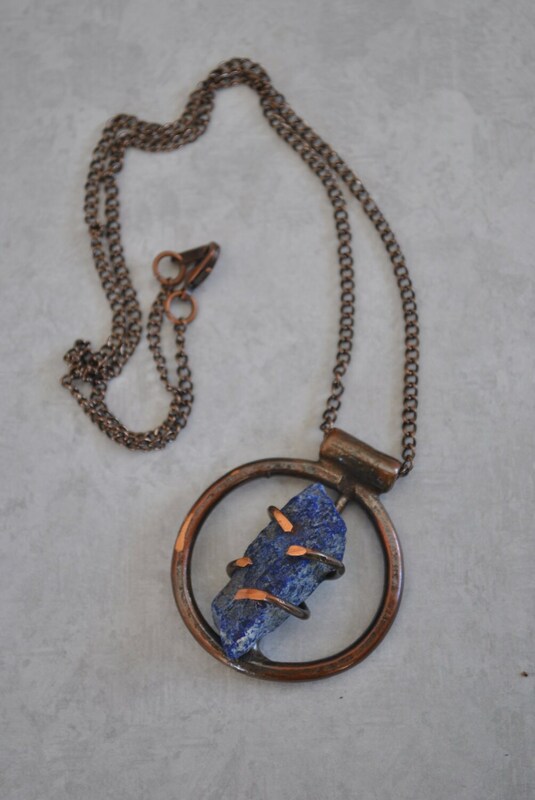 The pendant has been created with wire, brazed, hammered for texture, oxidized, and tumbled for polish. 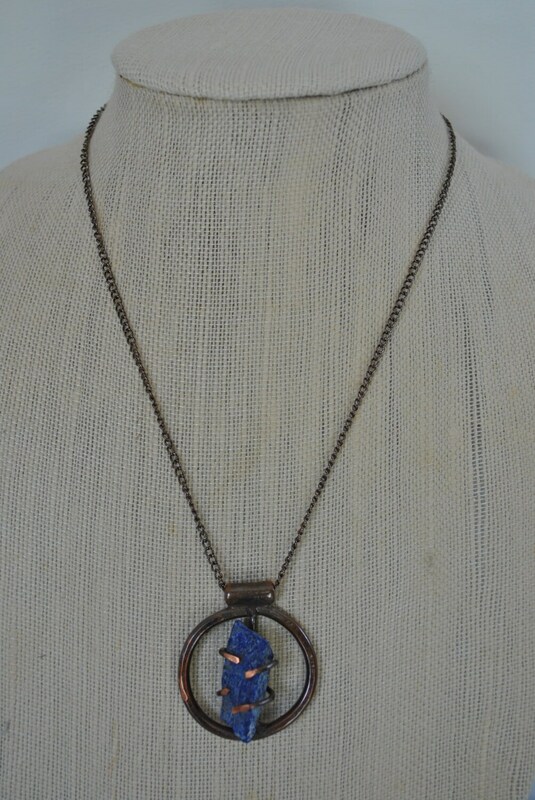 Includes a 20" copper chain. 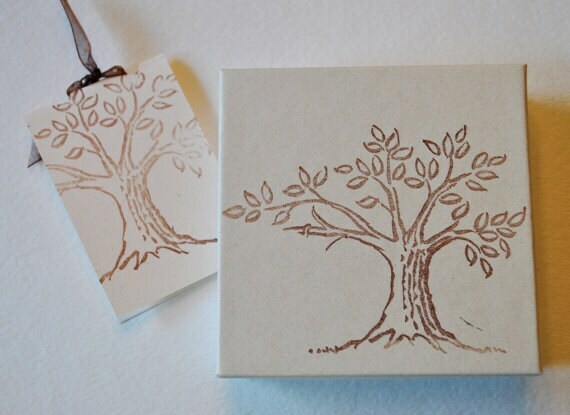 An eye catcher! 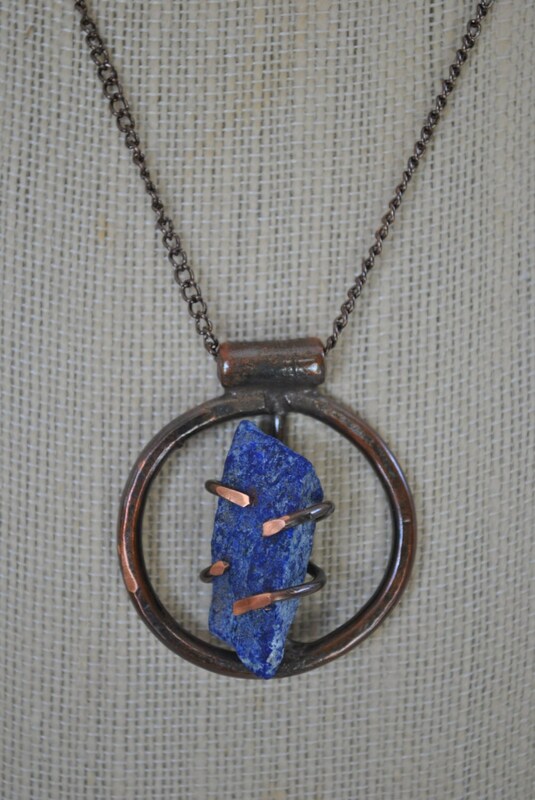 Lapis lazuli is a deep blue semi-precious stone that has been prized since antiquity for its intense color. At the end of the Middle Ages, lapis lazuli began to be exported to Europe, where it was ground into powder and made into ultramarine, the finest and most expensive of all blue pigments. Lapis is mined primarily in Afghanistan.